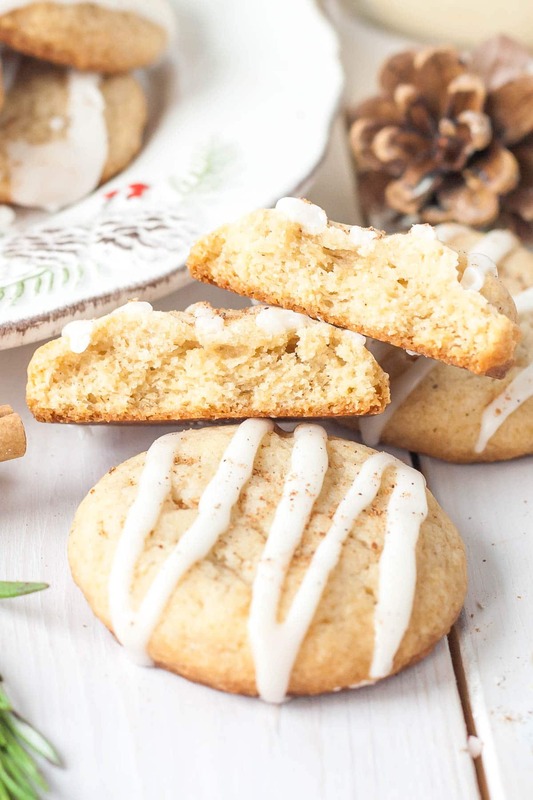 These Eggnog Cookies transform your favourite holiday beverage into a delicious handheld treat! You know, for someone who doesn’t care for eggnog in its pure form, I sure have thrown a lot of eggnog recipes your way over the holidays. And I have another one coming this weekend! Whew. I think that will be it for this season. 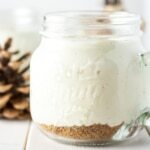 You guys loved the eggnog cheesecake cookie cups I made a couple of weeks ago, so I decided to continue with the eggnog theme. Plus, I still had eggnog in my fridge that I needed to use up, because I won’t drink the stuff. Despite hating eggnog in its pure, thick, unappealing natural form, I actually love the flavour it gives to baked goods. Simply swapping out milk for eggnog in a recipe will really transform it and give it a perfect amount of spice and flavour. 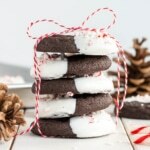 To make these cookies, I started with my very favourite chocolate chip cookie recipe. 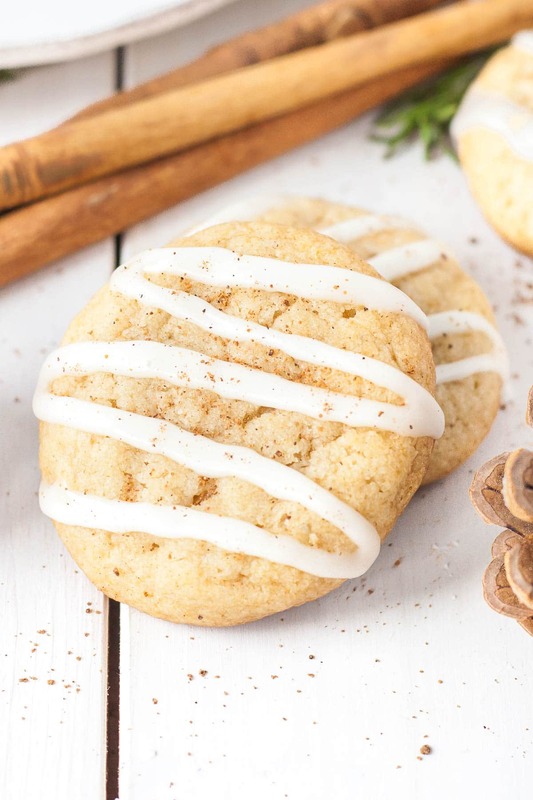 I halved the recipe to make a smaller batch, and with a few quick additions and substitutions, these Eggnog Cookies were born. 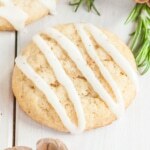 I opted to put rum into both the cookies and glaze, but if you prefer them without or want to make them kid friendly, you can use rum extract or vanilla extract instead. If you use extract, be sure to use the amount indicated in the recipe because they’re more concentrated than rum. As with all cookie dough, I recommend chilling it for at least 3 hours. This helps the flavours meld but, more importantly, ensures your cookies won’t spread too much in the oven. What I like to do is portion out all of the dough using a cookie scoop and place the dough on a lined baking sheet. You can crowd them at this point, as it’s just for chilling. With this technique, you only need to chill the dough for about an hour or so. Once chilled, I roll each scoop into a ball to help ensure they bake up perfectly round in the oven. This isn’t a must-do, but I think it makes for prettier cookies. Also, don’t crowd your cookie sheets! I found that when I baked fewer cookies per sheet, they turned out better. I recommend no more than 6 per sheet, but again, it’s a preference thing. The batches where I had 9 per sheet maybe weren’t as crackly/pretty, but tasted every bit as delicious! 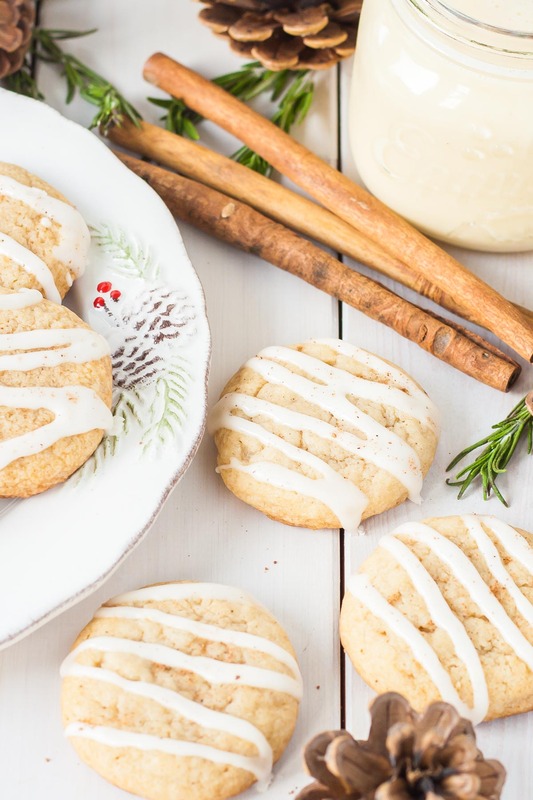 These Eggnog Cookies are the perfect treat for your holiday table. A bit of a kick from the rum for the adults (if you include it) or a festive sweet treat for the kids (young and old). 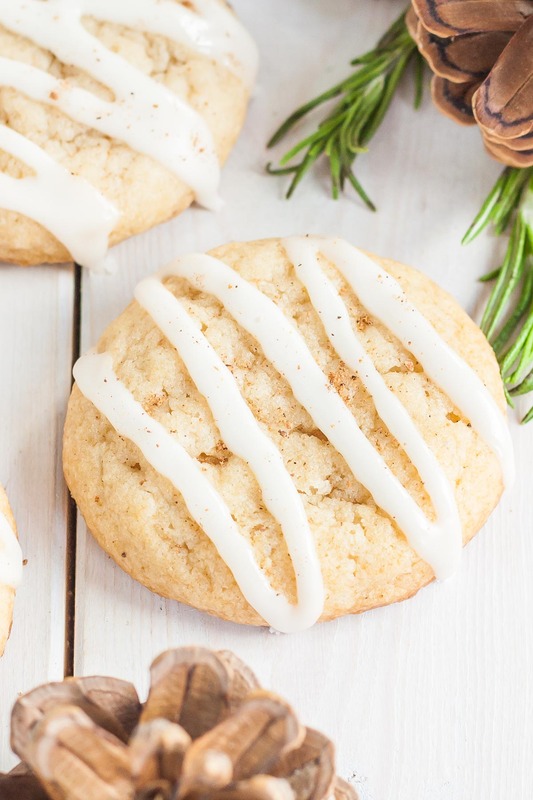 The eggnog flavour really comes through, so if you like eggnog you will love these cookies! 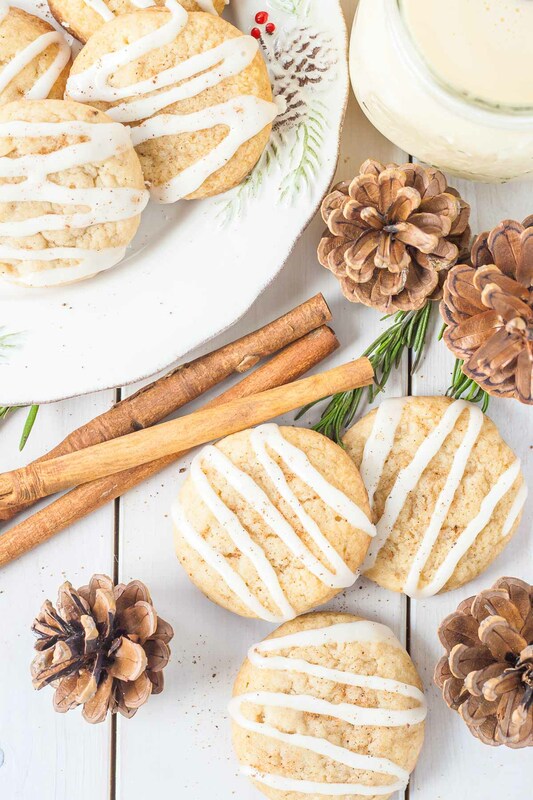 These Eggnog Cookies transform your favourite holiday beverage into a a delicious handheld treat! Beat butter and sugars on medium speed until pale and fluffy (approx. 2-3mins). Reduce speed and add egg yolk, eggnog, and rum. Beat until well combined. 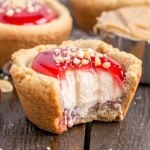 Using a medium cookie scoop, portion cookies onto your baking sheets. Bake for about 9-11mins or until golden on the edges. Remove from oven. Let cool on pans for 2 minutes, then transfer onto wire racks to cool completely. Stir all ingredients with a fork until well combined. Drizzle over cooled cookies and sprinkle with nutmeg if desired. * If you'd like to double the recipe, you can use one whole egg rather than 2 yolks. ** I scoop my cookies before chilling, place them on a baking sheet, and pop the sheet into the fridge for a couple hours. I find it's easier than trying to portion cold dough. I also roll them into balls once chilled. I’ve made these twice this week and they are delicious!! The only thing I’ve noticed is that the dough is way too tacky to handle by hand once mixed! I use cling wrap to shape it into a log and then slice and bake once chilled. Works great! 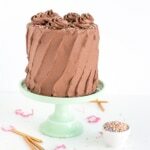 And the icing is perfect! This is a new holiday tradition at my house, thanks for sharing! I was really excited to try these cookies, but I found the flavor lacking. Nutmeg, rum, and eggnog were not very noticeable. I did try your scoop and chill method to save on time. I plan on adding icing tomorrow. Hopefully, this will improve the flavor. Hi Debra! I hope you like them better with the glaze. I would suggest sprinkling a bit more nutmeg over the glaze if you’d like a bit more flavour. Hi. Our egg nog is the kind with alcohol in it. It’s very thick. Just cream, rum, brandy, whiskey. It’s very thick. Would you still add the 1 tsp of rum? Thanks! Hi Missy! How thick are we talking? Ours is thicker than cream, but not too much. I would leave out the 1tsp of rum or swap it for vanilla. 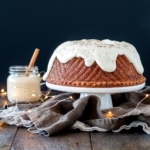 You may need to add a bit more eggnog if the dough is too thick. Thanks! It thick, like cream. Pennsylvania Dutch brand…Thanks for your reply! I’m having so much fun looking over your site! Like you I dislike heels (they hurt), used to be plumper, have to make myself work out, much prefer warm weather (ex moved us to Idaho, 40 below…I left him there), co-founded a small computer game company ( the 2000 dot.com crash ended that), didn’t want kids (God blessed me with 3 anyway, love em to death), have had many rescue dogs and a daughter who brings home enough animals I’ll never want for more, the other daughter is a pastry chef/baker, and the gamer group meets here every Friday night. As for always being cold, don’t worry, life will fix that – it’s called menapause, so enjoy it now. Hi Bonita! Nice to “meet” you 🙂 Is the custard the same consistency as eggnog? If so it should work fine. 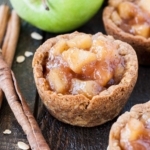 You can try lowering the sugar a bit, but I’d recommend substituting a sweetener instead. I hope that helps! Your website is so full of ads it makes it impossible to read. Hi Rebekah, I’m sorry you found the experience less than wonderful. Running this website costs quite a bit of money, and in order to offer recipes to my readers for free, I run ads to offset the cost (like 99% of websites). However, I will pass your feedback along to my ad network. That’s strange. 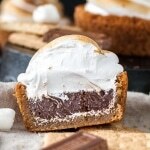 When I view it there is just one stripe of ads at the end of the recipe but before the comments. The amount of ads on the page is actually really minimal. Is it alright to keep them in the fridge overnight instead of just a few hours? Hi Alice! Do you mean the cookie dough or the finished cookies? Cookie dough will be fine in the fridge overnight. The finished cookies I would store at room temperature in an airtight container. It’s been my observation of people who do not like eggnog is the tecture or thickness of the drink. I love it anyway you serve it. But for the other people, try adding some gingerale or sprite or a non cola (clear) soda to it. You might be able to use sparkling or club soda also. This cuts the thickness of the taste and makes it more refreshing and palatable. I am going to make the cookies with the eggnog and I’m sue they will taste delightful. I’ve always loved all the spices in eggnog but the texture sometimes leaves me feeling ambivalent about it. I love all the edible eggnog treats you’ve been sharing though! Thanks Meg! It’s totally a texture thing with the eggnog for me too :\. What a fun little cookie. 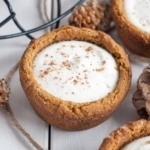 I am not typically an eggnog fan, but in cookie form, I will gladly eat a few.